Imagine yourself in a small, independent movie theatre in the 1970s. It’s a horror film. Black and white. The plot has been established and various people have already died. The camera pans to the window. It’s raining. The water drops are clearly visible. They hit the pane and roll gently down. In the background, a piano patters in time with the rain. Pizzicato violins create a suspense. A cello gently saws up and down. Is that someone’s face reflected in one of the water drops? Someone behind you? You shiver… With only the minimum of orchestration and a hushed voice, Agnes Obel creates scenes of a slightly unnerving nature on her wonderful new album. On ‘Run Cried The Crawling’, there’s an eerie voice in the background and the strings make a creaky-door sound. Listen in the dark and tracks such as ‘The Curse’, ‘Words Are Dead’, and ‘Smoke and Mirrors’ will have you reaching for the light. But what’s most unsettling of all is that the sense of unease is unending. There’s no resolution. No Psycho moment. The strings never reach a crescendo. The cellos never scythe. The voice never screams. This is no Hollywood blockbuster. No Bat For Lashes. This is a European art-house project. And yet despite the unmistakably cinematic feel to the album, it never feels like a soundtrack. The mood is everything, but the melody is there too. These aren’t just scenes put to music. These are genuine songs. Not standard verse, chorus, middle-eight songs to be sure. But songs you can hum along to nevertheless. Songs that lilt, however spooky the underlying theme might be. 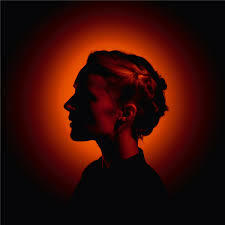 In her native Denmark, Agnes Obel is already something of a sensation and Aventine will only increase her reputation worldwide. So go on. Turn off the light, hunker down, and get ready to be thrilled. 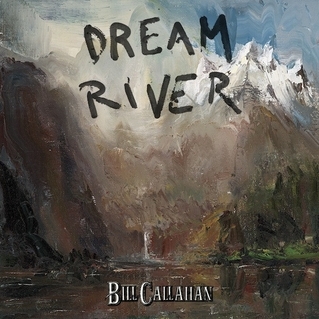 Bill Callahan – Is It Just My Imagination? If Bill Callahan were on Facebook, his status would most likely say ‘In A Relationship’. 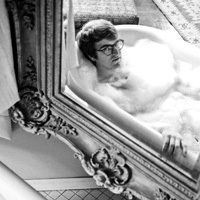 His last album, Apocalypse, was born on the road with songs about being alone in hotel rooms. Here, too, he’s on a journey, but it’s more a journey of the mind. And this time you’d be forgiven for thinking that he’s found some companionship and that he’s happy that way. “I like it when I take the controls from you, And when you take the controls from me”, he sings on ‘Small Plane’, “I really am a lucky man”. And on the closer, ‘Winter Road’, again he’s travelling. “World spinning heavy and slow, And I’m headed home, Time itself means nothing, But time spent with you”. Yet life as Bill Callahan’s partner, as previous ones might attest, probably isn’t always straightforward. “You looked like worldwide armageddon while you slept …”, he sings on ‘Javelin Unlanding’. Not always what a girl expects to hear. But the thought is soon clarified. “… You looked so peaceful, you scare me”, he says, and all is well again. But we should be wary of taking Bill Callahan too literally. He’s a consummate storyteller. When he tells us he’s sitting in a bar and that “the only words I said today are ‘Beer’ and ‘Thank you'”, we can well believe him. But the chances are that it’s a tale as tall as ‘Summer Painter’, which he presents as the story of a summer job he had painting boats. In the end, it doesn’t matter whether he’s really journeying or just imagining. The words on a Bill Callahan album are always worth listening to. “The eagle flies using the river as a map, A small animal in its clasp, Alive and enjoying the ride”. And what a great ride. 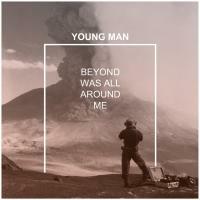 If music magazines are still around in 20 years time, then the latest release from Young Man will make an appearance in the ‘Buried Treasure’ or ‘Forgotten Nuggets’ section. Released in the US earlier this year, it’s not hard to see why it’s already dropped off the radar screen. There’s been no European release. The group announced they were breaking up just after the record came out. And, most of all, it’s an album that’s way ahead of its time. It’s the third in a series that charts singer Colin Caulfield’s development from childhood through adolescence to adulthood. If this was the work of a well established, middle-aged performer, it would be at the top of plenty of end-of-year, best-of lists. But it’s not. It’s a set of songs by a young man in a band called Young Man about a young man looking back on the younger part of his life. It’s so precocious, it’s almost inappropriate. It’s also totally wonderful. The songs are true pocket symphonies. The backbeat is usually unremarkable, 70s or 80s standard pop-song fare. But the tempos shift. The keys change. The strings soar. The guitars arpeggio. The keyboards weave in and out. The melodies shine. The result is a really mature work from a very young man. It goes without saying that Brian Wilson is a clear influence. And Grizzly Bear are playing in the next studio. But the most obvious homage is to Pink Floyd at the end of ‘In Time’. And the most shameless piece of melodic lifting is on ‘Being Alone’, which could have come straight from a 1970 Don McLean album. If there’s a flaw, then just perhaps the voice doesn’t quite have the strength to do justice to the music. And only rarely do the lyrics communicate that wistful sense of rose-tinted retrospection, though ‘Looking at Waterford, In those old cabinets, Is there something more?’ evokes a definite grandmotherly, sitting-room feel. Regretfully, Colin Caulfield has retired Young Man. With luck, he’ll have plenty of time on his hands to think about a new, forward-looking project. Emilíana Torrini could be a megastar. She could put on extravagant tours with a dozen costume changes per night. She could be the headline act at The Grammys. She could be on the front cover of V Magazine. After all, she co-wrote ‘Slow’ for Kylie Minogue. She was on The Lord Of The Rings soundtrack album. She’s Icelandic, for goodness sake. But no. She seems happy to return to her homeland, have 602 followers on Twitter, and put out one great, but still slightly under-the-radar album after another. 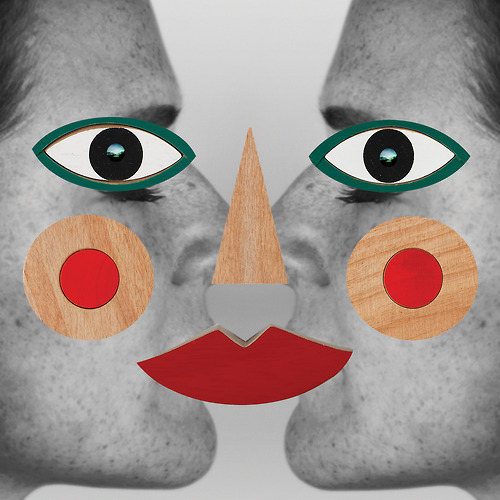 This album has an even more understated feel than some of her previous outings. The best songs are the ones that are the most intimate and closely-miked. The stand-out is ‘Autumn Song’. It’s the story of a female visitor to the family: “I thought she couldn’t do us any harm”, she sings, “He never liked that kind of charm, But how could he resist when her dress let in the autumn sun”. Even when she picks up the pace a little, she’s usually happy to avoid musical excess. ‘Animal Games’ has a great hook, but never tries be a huge hit. ‘When Fever Breaks’ is the least conventional, beginning amorphously and coming together only towards the end. It’s deliciously funky throughout but never poppy. Only on ‘Speed Of Dark’ does she give in to the temptation to smother the song in synths and an anonymous backbeat. It’s unremarkable and, naturally, the first single. Emilíana Torrini should be a megastar. With such beautiful songs and wonderful production, she should shift millions of units. Hell, she should even make money from Spotify. But that’s not the world she’s chosen. She seems happy with her choice. And we are definitely the better for it. 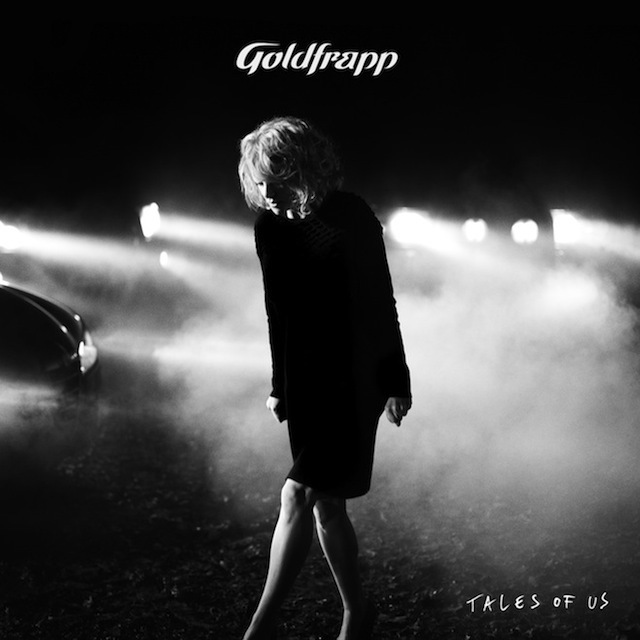 Tales Of Us is the soundtrack to a James Bond movie. But this is no techno-gadget, car-chase, adventure-music album. It’s no Supernature for the Daniel Craig era. Instead, it’s the soundtrack to a slow-motion James Bond movie, or music for the moment when Miss Moneypenny’s watches 007 leave the room knowing that he’s going win over someone else’s heart and not hers. For the time when Bond and the Bond girl turn off the light and the camera pans slowly away. For the scene where Bond says “We have all the time in the world”. Here, unlike Kate Havnevik’s magnificent 2006 release, Melankton, which was full of huge double agent-like crescendos, the tempo is never up, the range never dynamic, the drama only mellow. On ‘Annabel’ the strings sweep in, but soon cut out again. On ‘Drew’ the cellos scythe, but only for a couple of cuts. On ‘Thea’ there’s horsepower, but it’s not the roar of a 5.9-litre Aston Martin, it’s the sound of the four-legged variety galloping away at the end of the track. We’re ways away from the extravagant, exotic, excessive land of Black Cherry. Instead, we’re in the most bucolic Felt Mountain or Seventh Tree territory. For some Goldfrapp fans, it’ll be a big disappointment. But it shouldn’t be. These are beautifully restrained songs. They’re from the less is more school of music. And they sound wonderful. Alison Goldfrapp’s voice is better than ever and the arrangements mean that it’s there to be heard, right at the centre of the song. Goldfrapp subscribe to the belief that you can’t please all of the people all of the time. They’re not afraid to change as a result. 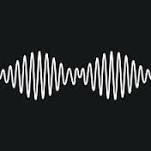 Here, they’ve produced a gorgeous set of songs that will displease some of the people for all time, but will be loved by others. Fans of James Bond-like soundtracks included. Love Brian Wilson? You’ll like Dent May. Never has an artist been more unashamedly influenced by the Beach Boy genius, or at least by the late-60s, Sunflower, and Friends-era drug-addled genius. Many of the songs are built around lilting high-end piano themes. They’re usually backed by warm bass-y sounds, comfortable percussion, synthy-strings, and the occasional brass. There isn’t a huge amount of signature Beach Boys harmonizing, but on various outings, notably the wonderful ‘Born Too Late’ and ‘Found A Friend’, Dent sings it high and does a good job on his own. One song after another sounds like it could have come from the tortured but irresistibly melodic mind of the most talented of the Wilson brothers. And yet. And yet. It doesn’t. In part, it’s because there are other influences – The Beatles, Orange Juice, ELO. Mainly, though, it’s because even in the most throwaway Brian Wilson song of his post-Pet Sounds period, there’s a sadness. It might be the melancholy of a particular chord sequence, or the plaintive nature of a certain arrangement. However upbeat, summery, even throwaway the songs sometimes seemed, there lurked a darkness. This was the true Brian Wilson late-60s genius. The combination of the very deliberate orchestral, pocket symphony arrangements, and an unwanted, but inescapable loneliness. By contrast, there’s no darkness on this Dent May album. It’s not that he’s singing about girls, girls, girls, or cars, cars, cars. Leave that to The Explorers Club. It’s the sound. It’s catchy, groovy, and genuinely lovely, but it’s not affecting. Not remotely. More than that, by the late-60s the Beach Boys were a collective. Sure, Brian Wilson’s songs were the best, but others were writing great tunes as well. Here, there’s only Brian’s influence. It’s one goddamn homage after another! But, of course, that’s exactly why this is such a great album. It’s full of beautifully arranged, sumptuously sounding, hook-filled pop songs. What’s not to love?